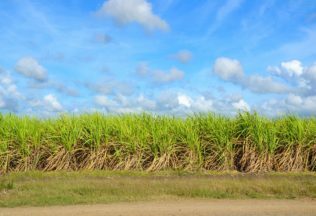 Queensland Sugar Limited (QSL) and Wilmar have signed an On-Supply Agreement (OSA) after years of dispute. Marketing group, Queensland Sugar Limited (QSL), has been in conflict with Singapore based agribusiness company, Wilmar, after the Queensland sugar industry was deregulated and legislation was introduced in 2015 allowing sugar growers to choose who they sell their sugar through. The conflict has prevented sugar growers from choosing a company to sell their sugar through and reached point where Deputy Prime Minister, Barnaby Joyce, warned the two companies to resolve the issue or the government would have to step in. In March 2017, the businesses settled on remaining points of conflict and have now signed the on-supply agreement. In announcing the news, QSL Managing Director and Chief Executive Officer, Greg Beashel, thanked the growers which have supported QSL during the negotiation. “We appreciate that this support has often come at great cost to you – both financially and emotionally – and that has not been lost on the QSL team, nor is it taken for granted,” Beashel said.